Read the Story before ordering! SSL installation for any website. Make sure your website has the green lock? We will process SSL Certificate setup for the website. 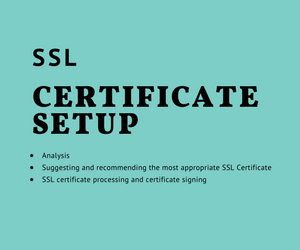 Get SSL Certificate installed properly on your web server to secure and encrypt your website, eCommerce site.